Imagine this. On a dark, cold morning in February 2023, the Cleveland Clinic Orthopedic staff receives a worrying electronic note from one of their total hip patients, 64 year-old Samantha Ingram. This note, however, was not written by Samantha, but by Samantha’s hip replacement. The note from her implant explains that a local Staph infection is brewing. It details the location of the infection and the bacteria level present. The office nurse contacts Samantha to bring her into the office, even though she insists she is fine. She arrives that afternoon. She receives oral medication and a minor procedure that locally treats the infection. Then, she is sent home with some new meds. Success. Samantha has avoided pain, an implant loosening complication, and a future hip-revision operation. The smart implant has done its job. In the future, I believe most joint replacements, trauma nails/plates, and spine devices will contain embedded sensors that allow the health care system to detect early problems, proactively treat these problems, and provide better care for the patient. These implant sensors will measure loads, temperature, motion, enzymes, bacteria levels, pH, particulates, etc. Surprisingly, as we sit here in 2018, the technology exists for implantable sensors. Still, the top10 Ortho companies are not yet on board – Stryker, DePuy/Synthes, Zimmer/Biomet, S+N, Medtronic Spine, DJO Global, IART, NUVA, Globus Medical, Wright Medical. They have not yet invested in the R&D and regulatory processes for smart implants. As history tells us, this disruptive technology will come from small, risk-taking startups. Startups ask, “If an implant could talk…what would a healthcare provider want to hear to treat the patient more efficiently?” In other words, what is happening inside the body, near the device? And for what smart feature would a hospital pay a premium? 1. New technology capabilities in embedded sensors. 2. Orthopedic manufacturers (finally) starting to understand and consider using embedded chips. 3. The ongoing need for manufacturers to find product differentiation in order to prop up implant pricing. 4. A desire for the healthcare providers to deliver more cost effective care. How will Orthopedics apply Smart Implants? When will these new applications emerge? Applied Orthopedic smart technology will come in four major waves. Each wave will provide more sophisticated information than the last. The first wave is here, the second wave is being tested, and the third and fourth waves will arrive in the future. Wave #1 – Smart Tools in the OR: feedback or data given to surgeon real-time. Wave #2 – Smart Diagnostics on Demand: accessed by Doctor or nurse at follow-up visits. Wave #3 – Smart Diagnostics by Exception: sent by the implant to Doctor or nurse when an alert is triggered. Wave #4 – Treatment by Exception: drug delivered by implant when an alert is triggered. The first wave of smart implants focuses on smart tools in the operating room to improve surgery. The first chips have long arrived in Orthopedic surgery. Instruments with chips and RFID tags help surgeons make better decisions during surgery. Smart instruments and trials with embedded sensors will help surgeons position the implant and balance the load during surgery. The Intellijoint Hip is a good example of a disposable sensor measuring offset with trials. I consider smart tools as another level of surgical navigation, but these new tools with chips and RFID tags have several advantages over optical systems. This technology is cheap, portable, disposable and, most importantly, may help manufacturers earn another fee for each joint replacement surgery. Major orthopedic companies are working on these applications now. Companies like OrthoSensor will provide a smart knee trial to measure balance intraoperatively. Zimmer, Stryker and Biomet have already jumped to “partner” with OrthoSensor. The second smart implant wave focuses on smart diagnostics on demand. Diagnostic chips will help provide better care during regular patient follow-up visits. The first smart implants with embedded sensors will relay diagnostic data from inside the patient to a physician or health care worker post-surgery. Companies have dabbled with custom telemeterized chips in implants using radiofrequency transmission (RF) of data. So far, implants have included custom hip, knee, spine cages, and artificial discs. Most of these implants were large and bulky, with major design tradeoffs. Intellirod Spine has implanted wireless RFID sensor technology for monitoring spinal rod strains in Europe. But as of this writing in 2018, smart diagnostics are not commonplace in orthopedics. Other opportunities with on-demand smart diagnostics include providing data in the doctor’s office, such as implant positioning, load bearing data, range-of-motion (ROM) data, gait analysis, joint stability or potential for dislocation, bone ingrowth measurement, particle count around an implant (a link to osteolysis), temperature, pH, lactate, glucose levels and other local biochemistry. In 2005, a patient received the first wireless telemeterized total knee. This modified J&J DePuy custom total knee contained a large embedded transducer in the tibial stem that relayed load information as the patient moved. In 2007, another patient received the first smart disc with telemetry capability. Today, Consensus Orthopedics is providing on demand information with its TracPatch sensors stuck to the skin around the knee. TracPatch remotely monitors a patient’s post-surgical activities by sending activity data to healthcare providers during the first six weeks of at home recovery. It provides range of motion (ROM), ambulation, exercise compliance and wound site temperature trends to healthcare providers. Smart chips will eventually become the “black box” in every patient, and smartphones will likely help retrieve the information. Smart diagnosis chips may inform future human clinical trials and animal trials to derive more meaningful data with fewer subjects. The third wave of smart implants will offer smart diagnostics by exception. In the 2020’s, tiny diagnostic chips in total joint devices will sit silently for years until they detect a problem. The patient could be anywhere when the chip activates. 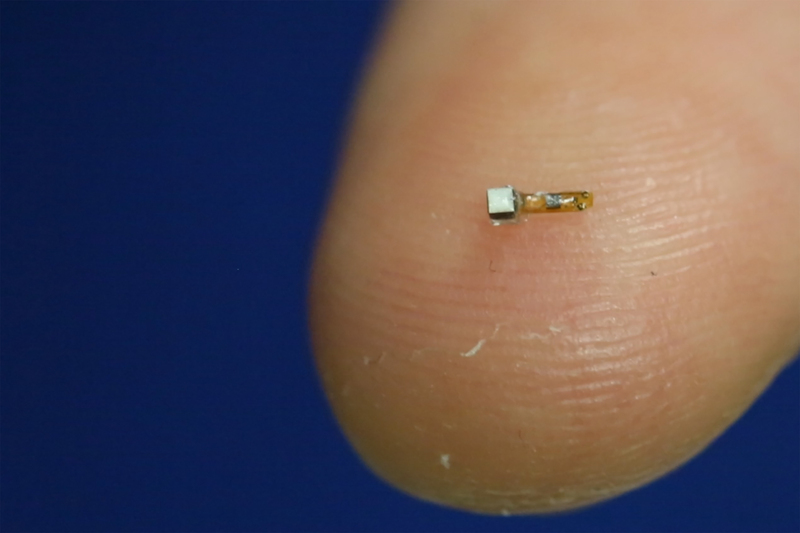 The chip will send diagnostic data through an existing wireless infrastructure to the patient’s hospital. These smart implants will only send wireless data when they detect issues, such as an early infection (based on the bio markers seen), osteolysis (the silent killer in joint replacements), and stress shielding that often leads to bone erosion, loosening, and revision surgery. The wireless data will add enormous value and efficiency to the health care system. The fourth wave of smart implants will both diagnose and treat the patient, without surgical intervention, by the 2030’s. These smart implants will detect a problem and “self-treat” the patient by delivering drug therapies or stimulation locally as needed. They may deliver antibiotics or growth factors long after surgery. Once again, these smart, on-board drug delivery vehicles will remain completely dormant until activated. And finally, to illustrate this trend, I want to share some real examples of smart implant applications. I list these applications in chronological order from today’s existing technology to future technology. A good example is Theken Spine’s first artificial disc with force monitoring sensors, called the eDISC. Another example is the e-knee, where researchers measure real-time forces inside the knee while the patient walks, climbs stairs and exercises. The NuVasive / Ellipse Technologies’ MAGEC and PRECICE implant systems enable both surgeons and patients to non-invasively adjust the implant’s position by remote control using magnets. Ortho-Tag enables surgeons to gauge the pressure on an implant, the chemical balance and temperature of the tissue, and the presence of harmful organisms. Read here about more research on the Smart Hip, that can detect early bone ingrowth issues. Researchers also investigated hip loosening, based on the use of magnetic sensor oscillators. However, today Intellirod Spine’s LOADPRO monitors fusion with a strain gage measuring device attached to posterior fusion rods, which gives insight to the status of fusion. The RFID tag is a good example, again from Ortho-Tag, that enables healthcare providers to track and ID total joints with the wave of a wand. I know of at least one large trauma company that is already conducting feasibility work for this application. I am not aware of any work in this area. Consensus Orthopedic’s TracPatch sensors do this in the knee today and will do this in hips in the future. I have not heard of any work in this area. Orthoclip is a new technology to attach drug delivery modules to fracture repair implants. No regulatory approvals yet. 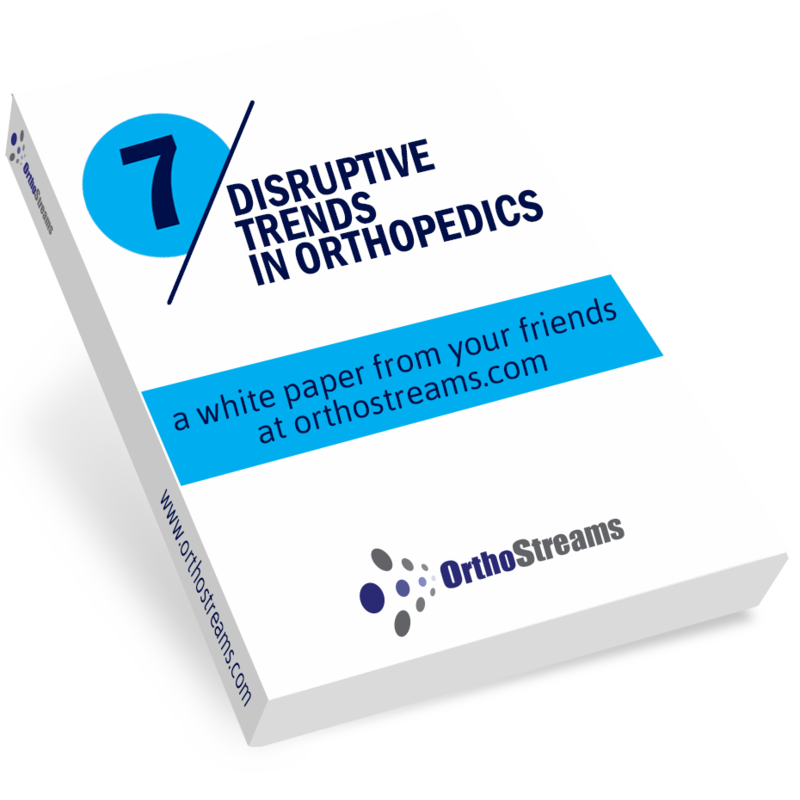 What is your company doing to prepare for the smart orthopedics world?